Blepharitis is a common condition that causes inflammation and irritation of the eyelids. Blepharitis often produces flaky debris at the bases of the eyelashes, causing the eyelids to become inflamed and itchy. Some people complain of feeling like something is in their eyes that won't come out or a burning sensation on the insides of the eyelids. Usually diagnosis of blepharitis can be made by analyzing a patient's symptoms and complaints, administering a thorough eye examination. Your eye doctor will check for signs of debris or redness of the eyelids. Occasionally, additional diagnostic tests are performed. When diagnosing blepharitis, your eye doctor will ask you to describe the symptoms you are experiencing. If you have blepharitis, you may complain that your eyes are irritated, itchy, or burning at the edges of your eyelids. You may feel a foreign body sensation, as if something is stuck inside of your eyes. You might be noticing crusty scales or granulations stuck to both your upper and lower eyelids, especially first thing in the morning. You may feel as if your eyelids are "glued" shut upon waking. Your eye doctor will look for any other health problems that may be contributing to a patient's eye problem. People with blepharitis sometimes have rosacea, a skin condition characterized by redness of the cheeks. People with oily skin, dandruff or dry eyes tend to have a tendency to develop blepharitis. Blepharitis is often associated with meibomianitis, a disfunction of the oil glands of the eyelids. People with poor hygiene habits tend to have an increased risk of developing blepharitis. A primary care provider can usually make the diagnosis with the history and a careful physical examination. Your eye doctor will also have the benefit of a more careful eye exam. He or she will probably use a slit lamp during an examination to diagnose blepharitis. A slit lamp is a microscope with a light attached that allows an eye doctor to examine your eyelids and eyelashes under high magnification. Your eyelid margins, bases of your eyelashes, oil gland openings, tears, and front surfaces of your eyeballs will be thoroughly examined. If you have blepharitis, debris and dandruff-like scales may be visible and the eyelid margins may be red and swollen. The added advantage of the slit lamp is that it can help the eye doctor distinguish between different causes of blepharitis. A comprehensive eye examination is usually enough to reveal a case of blepharitis, without the use of other diagnostic tests. However, your eye doctor may take a culture of your eye secretions in order to rule out an eye infection. Your doctor may simply swab the discharge of your eye and send it to a laboratory for further investigation. Furthermore, if you fail to respond to necessary blepharitis treatment, more diagnostic tests may be performed in order to rule out allergies. Conjunctivitis and keratitis can be complications of blepharitis. Conjunctivitis is an inflammation of the conjunctiva, the delicate membranes that line the eyelids. The conjunctiva covers the white part of the eye. Often called "pink eye," conjunctivitis is a common eye disease. The condition can affect one or both eyes together. Some types of conjunctivitis are very contagious and are easily spread in schools and at home. Conjunctivitis is usually easy to treat but sometimes develops into a more serious problem. 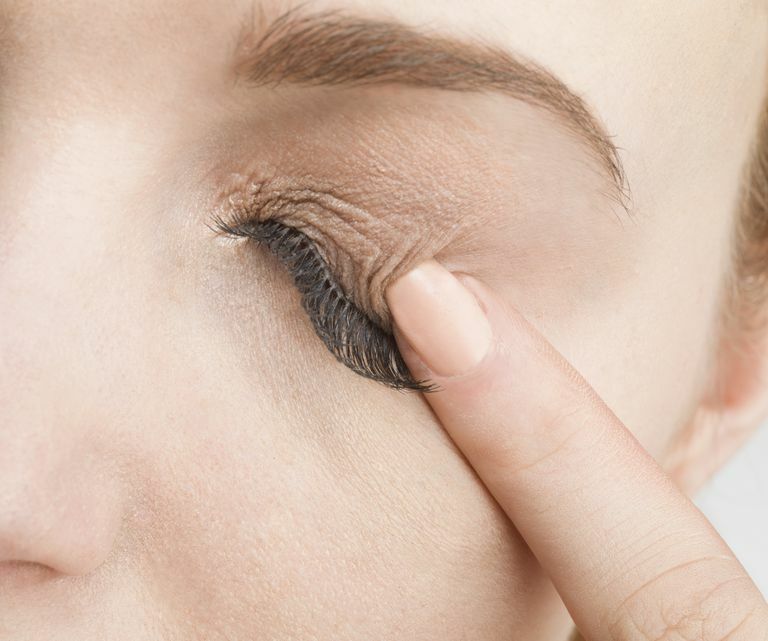 Keeping your eyelids clean and healthy is an important part of treating as well as preventing blepharitis. The goal of eyelid hygiene procedures is to soothe the eyelids, unplug any blocked oil glands and clear out oily secretions from the glands. With proper hygiene measures, the eyelids are thoroughly cleaned and debris is completely removed. You should make eyelid hygiene a part of your daily routine. The routine should consist of applying warmth with a washcloth, massaging gently and cleansing thoroughly. American Optometric Association. "Care of the Patient with Ocular Surface Disorders." Optometric Clinical Practice Guideline, AOA, 1995-2002.